I am passionate about creating out of the box solutions for problems which affect mass population worldwide. I see myself as a change agent, catalyst, team builder and a venture capitalist for various businesses across industries worldwide. 1. You’ve a vast career of having worked for over 22 yrs. worldwide after doing your MBA. What are your strengths? 2. How did the idea of making https://www.hospitalforsalelease.com/ come to you? • Unwanted mediclaim insurance claims. On the other hand, I saw the plight of hospitals under great stress and in huge financial losses forcing them to do the above mentioned. This made me curious to fix this problem worldwide to make an impact in the life of patients. 3. What are the challenges which a hospital owner / top management face? 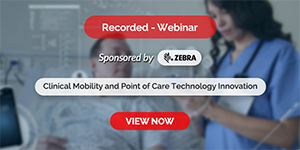 The various challenges are like soaring infrastructure costs, medical equipment costs, staff challenges, evolving healthcare compliances and fewer patient walk-ins have pushed many hospitals out of business. The ROI doesn’t happen as projected while taking huge loans to setup the new hospital and revenue shortfalls severely impacts the income of the business and hospital management are subjected to high stress and pressure, often leading to bankruptcy. 4.How have you used your portal to revolutionise healthcare? The need of the hour is not to build a new hospital with huge loans and investment but to buy / lease a distressed hospital available worldwide. Hence, an investor gets a ready hospital, staff, infrastructure, medical equipment’s and existing patient flow which he can upgrade ASAP with minimum investment as compared to building a new hospital. 5. How can hospitalforsalelease.com leverage an investor who plans to setup a hospital? and travelling worldwide. Now the investors can contact the hospital directly and do the deal offline as per terms and conditions suitable to both of them which was never possible earlier. 6. What does the ‘Invest in hospital Equipment’ mean? How can it bring a positive change in the health sector? Medical equipment is very expensive and a huge cost in building a new hospital. On our portal, you can find lot of medical equipment for sale / lease by hospitals which investors are looking for. Hence by buying / leasing medical equipment already available in a hospital, it is a huge saving for the investors. 7. How is hospitalforsalelease.com a competitive differentiator for healthcare service providers? • 0 per cent brokerage charges as you can close the deal directly offline amongst yourself. My vision is to make an impact in the life of patients worldwide where a patient doesn’t have to undergo unwanted lab tests, expensive medication, surgeries and implants in his body because the hospital where he has gone for treatment in emergency or otherwise is having financial losses and the hospital is under stress to do anything unethical with the patient to make money. Our portal makes a sincere effort to help investors find hospitals to invest and run the operations profitably with minimum investment and not be under unwanted stress to do anything unethical with the patient. 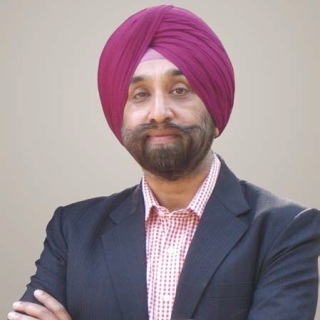 Amrit Pal Singh, Founder & CEO of www.hospitalforsalelease.com has 22 yrs. of experience in the field of strategy, planning and marketing in India and abroad. Amrit likes to work on ideas, which makes an impact in the life of people on the ground by providing out of the box solutions to problems. Amrit also developed www.retiredsikhs.com for retired Sikhs and www.gurdwarajob.com to provide free service to people worldwide looking for a job in a Gurdwara.